Each of these sand grains is a little longer than 2000 micrometers. 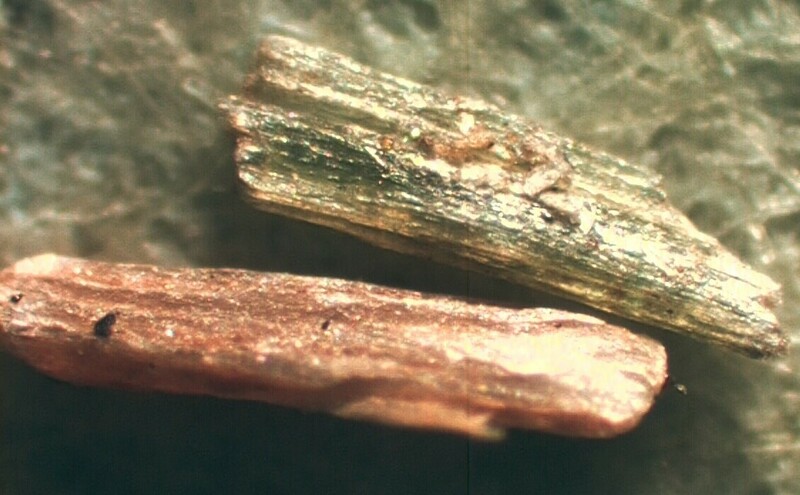 The green grain on top is actinolite asbestos and the brown grain below it is chrysotile asbestos. Day Creek is a creek in Skagit County Washington that empties into the Skagit River.